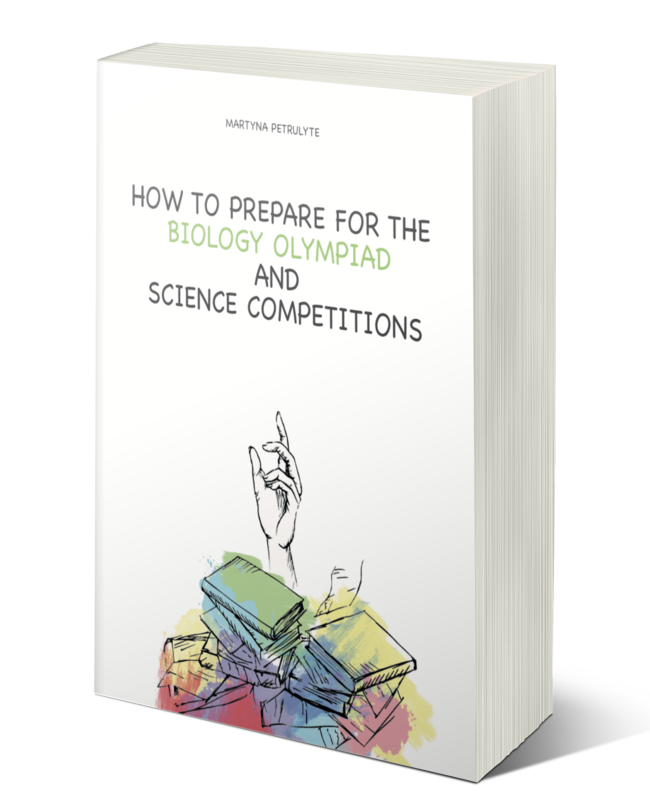 There is a huge variety of really good books that you should read to prepare for any biology olympiad or science contest. No matter which books you choose, they all contain almost the same information which is usually just put in different words. Also, the illustrations and diagrams might be different, but apart from that everything is the same. So where do I buy the books from? My top choice is Book Depository. Based on my experience, Book Depository is sometimes cheaper for items with low retail price to begin with. So books costing around US$10 is more likely to be cheaper on Book Depository than on Amazon, as compared to a $20 book. Note that shipping charge is already included into the list price on the Book Depository website. If you’re buying just one or two books, Book Depository is usually cheaper because other online bookstores have a per-shipment charge in addition to a per-item charge. Without further ado, check the list of recommended books below classified according the topics that I found useful while I was preparing for the International Biology Olympiad. Biology is nothing without chemistry so you need to know the basics of chemistry as well. My favourite book is the Color Atlas of Biochemistry by Jan Koolman, K. Rohm. It is a pocket-size concise book (approximately 400 page s). What I like most is that every page on the left contains theoretical part and every page on the right depicts diagrams, illustrations, graphs and so on. So, if you remember better by looking at illustrations, I highly recommend to read this little textbook. Another very useful book is Biochemistry (Lippincott Illustrated Reviews Series) by R. Harvey. It is designed for medical students and therefore is very concise but informative. Lippincott’s Illustrated Reviews: Biochemistry enables students to quickly review and assimilate large amounts of complex information through powerful visual resources essential to mastery of difficult biochemical concepts. Its signature outline format, full-color illustrations, end-of-chapter summaries, and USMLE-style review questions make it one of the most user-friendly books in the field. New features include expanded coverage of molecular biology. ► Summary figures help students keep the big picture in mind while learning the specifics. ► In-text Worked Examples take students through particular difficult equations to improve their quantitative problem-solving skills. ► More than 600 end-of-chapter problems give students further opportunity to practice what they have learned. ► Data Analysis Problems (one at the end of each chapter), contributed by Brian White of the University of Massachusetts–Boston, encourage students to synthesize what they have learned and apply their knowledge to the interpretation of data from the literature. Genetics: Analysis and Principles (WCB Cell & Molecular Biology) by Brooker presents an experimental approach to understanding genetics and what I like most is that there are plenty of problems with explanations and answers. What is more, various laboratory methods are depicted in diagrams so you do not need to work in a lab to get essential practical skills (of course, it is better to do some practice in lab so that not to fail in IBO practical part). Here you can get a better grasp of what is in this textbook. Another good textbook for genetics is Genetics: From Genes to Genomes, 5th edition by Hartwell. Genetics: From Genes to Genomes is a cutting-edge, introductory genetics text authored by an unparalleled author team, including Nobel Prize winner, Leland Hartwell. This edition continues to build upon the integration of Mendelian and molecular principles, providing students with the links between the early understanding of genetics and the new molecular discoveries that have changed the way the field of genetics is viewed. It is not a secret that the Bible of Biology is Campbell Biology (11th Edition) . It is a good book and it covers all fundamental biology topics, nevertheless, some topics are discussed only concisely so some good books in addition to Campbell’s could come in handy. The Eleventh Edition of the best-selling Campbell BIOLOGY sets students on the path to success in biology through its clear and engaging narrative, superior skills instruction, innovative use of art and photos, and fully integrated media resources to enhance teaching and learning. To engage learners in developing a deeper understanding of biology, the Eleventh Edition challenges them to apply their knowledge and skills to a variety of new hands-on activities and exercises in the text and online. Content updates throughout the text reflect rapidly evolving research, and new learning tools include Problem-Solving Exercises, Visualizing Figures, Visual Skills Questions, and more. Life: The Science of Biology by David Sadava et al. is a book similar to Campbell’s but contains some different information as well as more comprehensive images. There are quite good study resources from this book here and here. I personally adore Biology by Raven et al. I found here some facts I did not read in any other book, for example, Raven interestingly presented motives of proteins or unique examples of behaviour ecology. Here you can find some nice chapter examples. New pedagogical features to guide student learning include: •Each chapter begins with an outline of the chapter. •Learning outcomes are included for every major topic to help students see the forest for the trees and focus on the main concepts and relationships of the details being presented to them. •Scientific Thinking illustrations are highlighted and provide students with questions, as well as a hypothesis, prediction, observation, experiment, etc., as appropriate to guide their thought process and teach them to think like a scientist. •Inquiry questions are found throughout the text to push the students further in their ability to think scientifically. •Learning outcomes are revisited with a short review prior to moving on to the next major topic. •A logically organized summary is available at the end of each chapter for students to use as a quick study tool. •End of chapter review questions include Understanding, Applying and Synthesizing levels. For human body anatomy and physiology great books are Human Physiology: An Integrated Approach (7th Edition) by Dee Unglaub Silverthorn or Vander’s Human Physiology . The newly revised Human Physiology: An Integrated Approach Fourth Edition strengthens the coverage of the “big picture” themes in the study of physiology and helps tie concepts together in a logical framework for learning. Vander’s Human physiology reflects some of the major themes of the textbook: homeostasis, exercise, pathophysiology, and cellular and molecular mechanisms of body function. You can take a look at one of the chapters of this book here. I also read Human Physiology: From Cells to Systems by Sherwood. This book is meant for the one-semester Human Physiology course typically taken by allied health and biology students. The start chapters introduce basic chemical and biological ideas to offer students with the framework they should comprehend physiological principles. Moreover, the chapters promote conceptual understanding. My top choice for molecular biology is Molecular Biology of the Cell by Bruce Alberts, et al. This is book is a big one, a hard one, an interesting one, a useful one. From my point of view, current and upcoming IBOs are focusing on molecular and cell biology because these fields are developing so rapidly and thus these branches of biology are perfect source for olympiad problems. So try to read it and understand it. If you want something cheaper than Alberts but equally useful, try Molecular Biology of the Cell, Fifth Edition: The Problems Book . The Problems Book helps students appreciate the ways in which experiments and simple calculations can lead to an understanding of how cells work by introducing the experimental foundation of cell and molecular biology. Each chapter will review key terms, test for understanding basic concepts, and pose research-based problems. The Problems Book has been designed to correspond with the first twenty chapters of Molecular Biology of the Cell, Fifth Edition. Many past biology olympiad questions contain quite a lot of problems about plant anatomy and physiology. Thus, I suggest to read Stern’s Introductory Plant Biology . This introductory text assumes little prior scientific knowledge on the part of the student. It includes sufficient information for some shorter introductory botany courses open to both majors and nonmajors, and is arranged so that certain sections can be omitted without disrupting the overall continuity of the course. Stern emphasizes current interests while presenting basic botanical principles. This latest edition incorporates measurable learning outcomes and updated readings. Students will be introduced to the new classification of plants and plant-related species, integration of biotechnology into several chapters and inclusion of new text boxes addressing the areas of ecology, evolution and molecular biology. New photos have replaced older pictures or have been added also. Another amazing book for plant biology is Biology of Plants by Peter H. Raven, Ray F. Evert, Susan E. Eichhorn. Long acclaimed as the definitive introductory botany text, Raven Biology of Plants, Eighth Edition by Ray Evert, Susan Eichhorn, stands as the most significant revision in the book’s history. Every topic was updated with information obtained from the most recent primary literature, making the book valuable for both students and professionals. As far as the practical part of biology olympiads is concerned, I have not found a better book than Practical Skills in Biomolecular Science, 5th ed. by Rob Reed. This textbook underpins any practical course in biochemistry, biomedical science, genetics, immunology and microbiology. Not only it includes numerous exercises with answers, but also foster study and examination skills, laboratory and analytical skills, investigative techniques and analysis of experimental data. Some teachers also recommend Biochemistry, 4th Edition by Donald Voet, Judith G. Voet but this one is as comprehensive as Lehninger’s. Modern Biology: Skills Practice Labs: Includes Dissection Labs is a nice book to develop practical skills as well. For microbiology, I would suggest Brock Biology of Microorganisms (14th Edition) . This book for biology, microbiology, and other science majors balances cutting edge research with the concepts essential for understanding the field of microbiology. For animal biology you should read Biology of Animals by Cleveland P. Hickman Jr., Larry S. Roberts, Allan Larson or Animal Physiology by Richard W. Hill, Gordon A. Wyse, Margaret Anderson. Animal Physiology presents all the branches of modern animal physiology with a strong emphasis on integration of physiological knowledge, ecology, and evolutionary biology. Biology Of Animals presents coverage of animal form, function, diversity and evolution. In this sixth edition, the cladistic perspective (phylogenetics systematics) has been added to the discussion of animal phyla, and cladograms of the relationships are included. My personal favourite is Integrated Principles of Zoology by Hickman. Emphasizing the central role of evolution in generating diversity, this best-selling text describes animal life and the fascinating adaptations that enable animals to inhabit so many ecological niches. Featuring high quality illustrations and photographs set within an engaging narrative, Integrated Principles of Zoology is considered the standard by which other texts are measured. With its comprehensive coverage of biological and zoological principles, mechanisms of evolution, diversity, physiology, and ecology, organized into five parts for easy access, this text is suitable for one- or two-semester introductory courses. Science competitions test a student’s level of knowledge, power of scientific reasoning, and analytical thinking outside of the regular school curriculum. 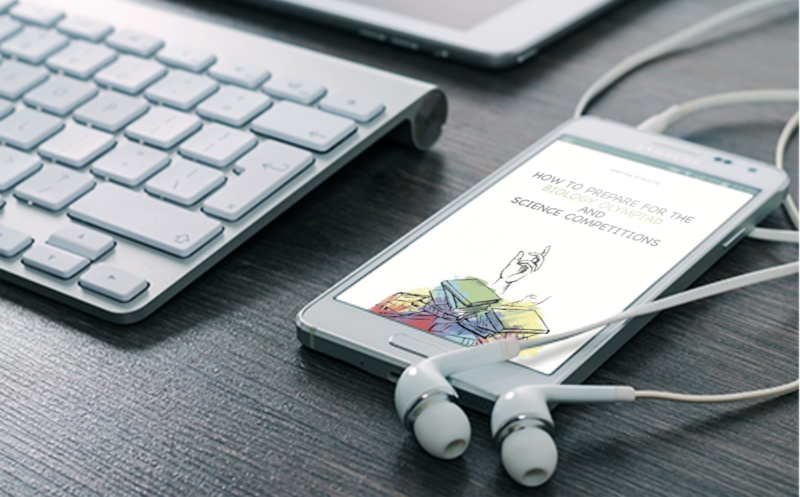 A systematic approach and smart study regimen are both required to get good results in science competitions. This is where my book How To Prepare for the Biology Olympiad And Science Competitions by Martyna Petrulyte comes into the picture.